Intallation of addons for Simutrans is a common point of confusion for beginners. This page will attempt to better detail the process of addons installing. 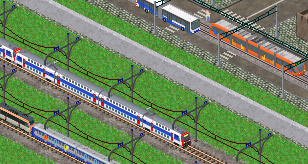 Simutrans is usually present in two places of your computer. The installation directory, usually placed in your programs, contains the executable file of Simutrans (in windows : simutrans.exe or sim-winsdl.exe, etc …), it also contains folders of the paksets you installed. Look for the pakset you want to install addons for, and notice its exact name. You should as well find a simutrans directory in your documents. It contains a folder named “save”, which contains your savegames, and may contain folders “screenshot” and “maps”. You are going to install your addons here. In the “simutrans” directory, create a new directory named “addons” unless it already exists. In this one, create a new directory with the same name as the name of the pakset you noticed in the previous paragraph. You have to put your addons (.pak files) in the last directory you just created. You must put .pak files directly in this folder, there must not be any subfolder to it. If you got compressed addons (.zip, .7z, .rar, etc…) you have to unpack them (with winrar or 7zip for instance) to get .pak files. If you did this correctly, the game will ask you either to load a pak with its addons or not. Installation of your addons is successful. If it didn't work, check the exact spelling of the folders you have created, check for uppercase letters. Do a copy-paste if necessary. You may temporarily place your addons directly in the pakset's directory (in the installation directory of Simutrans). Then, you can ask for help on the Simutrans'forum. Simutrans does ask if you want to load addons or not but these don't appear in the game. At first, check introduction and retire dates of the addon. The year of the savegame you are playing must be between the introduction date of the addon and the retire date. 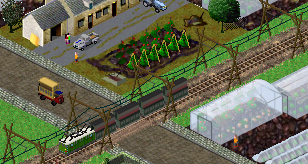 For instance, if your savegame is in 1945, you can't see a train introduced in 2000. Another cause, rare though possible : if two objects have the same name, only one of the two objects appears in the game. Thus, the addon may have the same name of another object. I'm not talking about the name of the .pak file of the addon but the name of the object itself. In a such case, you can't do anything about it, report the problem on the forum. Finally, the last possible cause of problem is the addon having a problem, it may eventually be to old. In this case, contact the author.